Night Approximation: Proceed in the same way, taking into account the buoy markers: Coming from the E, sail based on the light from the lighthouse on Punta Roncadoira (Fl W 7.5s 94m 21M). Once you have passed that, sail towards the light from the Estaca de Bares lighthouse (Gp Fl (2)W 7.5s 101m 25M) until you begin to see the lights on Punta Socastro (Fl G 5s 20m 7M) and Punta del Faro (Fl G 5s 20m 7M), at which time you will set a course towards them and enter towards Celeiro port, which has a buoy at the end of the shelter jetty (Gp Fl(2)R 7s), which you will use as a reference point. 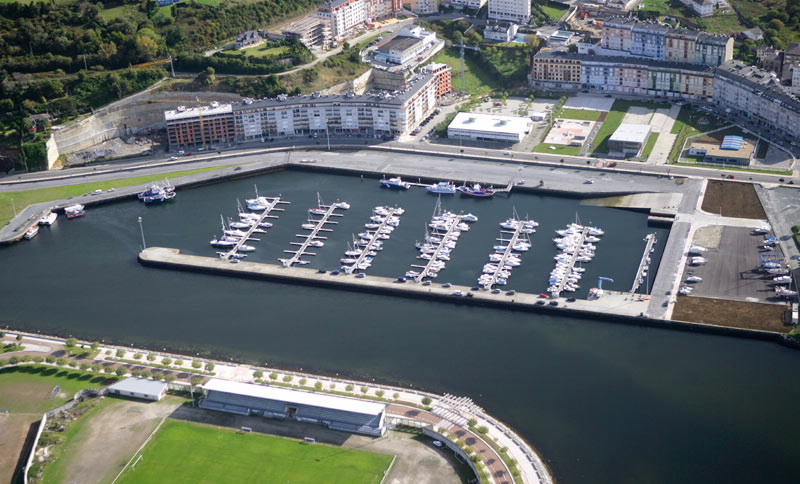 With the latter off the port beam, you will see the green lights (Gp Fl(2+1)G 7s 9m 1M) on the south quay of Celeiro port and those on the channel (Gp Fl(2)G 7s 9m 1M) that lead to Viveiro marina. The latter has a green buoy marker (Gp Fl(3)G 9s 9m 1M9 on the outer jetty. 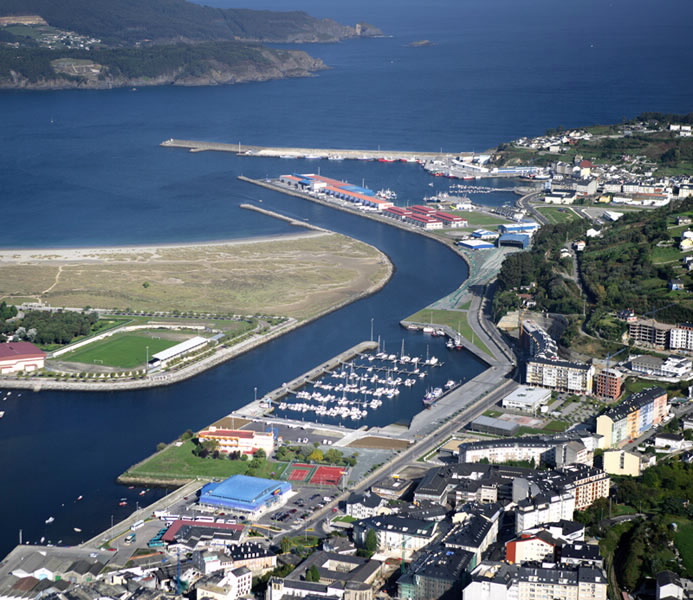 Day aproximación: Viveiro Marina is located at the end of the estuary of the same name. 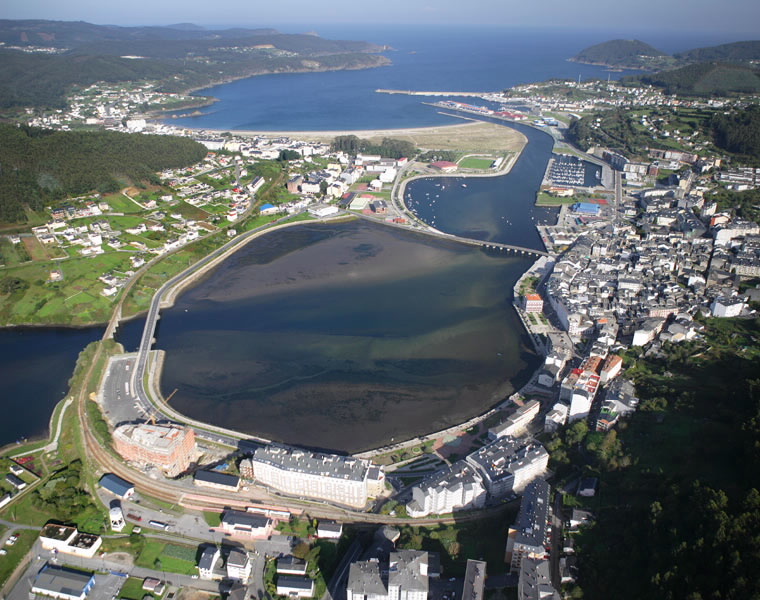 The entrance is free of complications and well sheltered from the E-NE and W-NW winds, its coasts are clear and the draught is between 20 m and 10 m to the entrance to Celeiro fishing port. 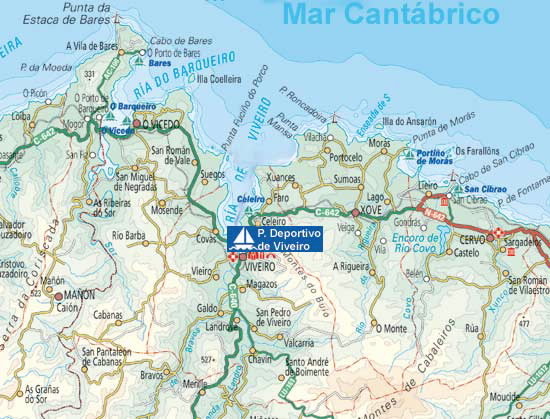 The mouth of the estuary opens between Punta del Faro and Punta Socastro, with the latter located 1 M and 290º from the former. Make the approach once you are half a mile and opposite both points, and sail to TC: 190º until you see the red column of the Celeiro fishing port breakwater. Once you have the column off the port beam, set a course to pass between the two green columns that mark the entrance to the channel that leads to the marina, keeping the Celeiro fishing port to the port side. The channel, which measures 80 m wide and 800 m long, is dredged to 3 m, which is the depth at the entrance and dock of the marina.